We first heard Noname on impressive verses she’s lent to fellow Chicagoans like Chance The Rapper and Saba. There was promise of her own solo debut, but a year passed, and then another did. 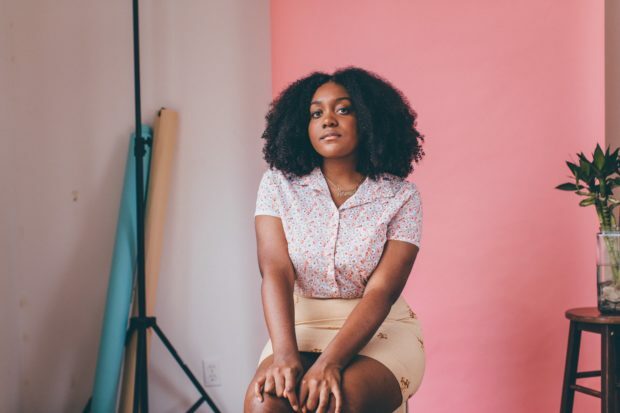 Skeptical that the moment for Noname to finally deliver her debut project may never come, the Bronzeville-native shared her very first project, a “mixtape” titled Telefone, released July 31 on SoundCloud. Telefone is like a 10-song journey that feels like you're flipping through the diary of a creative writer. Noname's voice is soft and sweet, but brings forth a certain fire and confidence that feels like an endless stream-of-consciousness. The way she strings words together, it's obvious that Noname is skilled at achieving lyrical complexity that feels raw, but never dense. From relationships, addiction, police brutality, to family—Noname opens up from an incredibly personal place on Telefone. Between Noname's lush lyricism, you will have you fall head over heels with the impressive production; a cohesive listen from start to finish. The instrumentation is full of warm chords and percussion, “All I Need” and “Reality Check” are based in the same sonic soundscape. And on "Diddy Bop" featuring Raury & Cam O’bi, Noname is playful and confident while the track exudes an easy and warm listening experience. Noname’s talent is clear on Telefone, and points to even greater things for Noname in the future. Listen to the new album below.